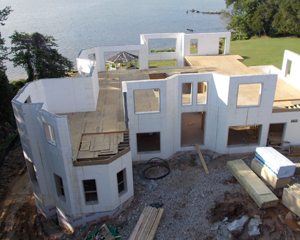 Building with insulated concrete forms is a simple process that is far less labor intensive than most traditional construction methods. 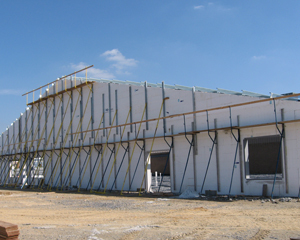 The lightweight forms assemble quickly and do not require additional steps for installing vapor barriers, furring strips or wall insulation. 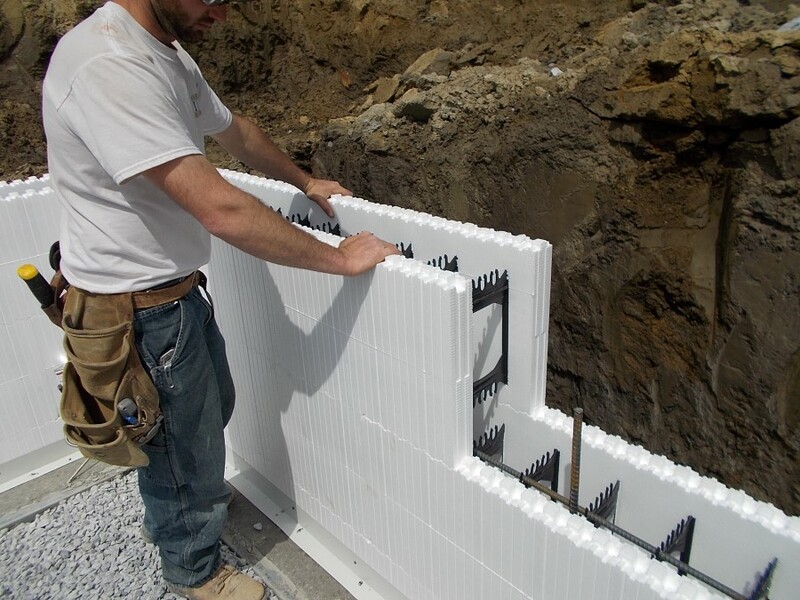 An ICF wall is a complete system! 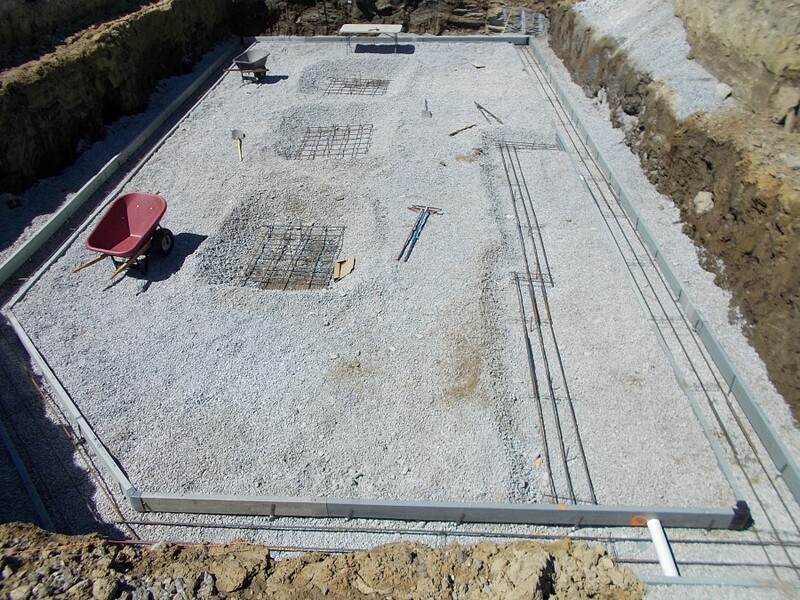 Footers are constructed using form-a-drain and rebar. 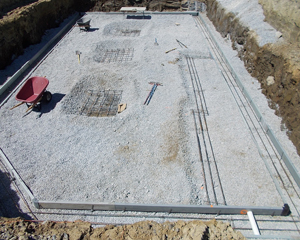 rebar is placed to required specs for each job. 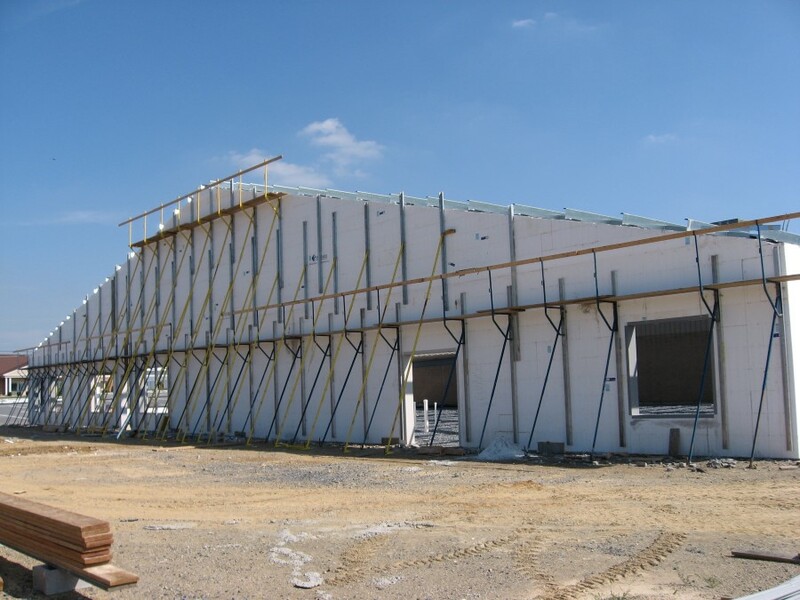 The forms are assembled and horizontal and vertical rebar are put into place as we build the walls. 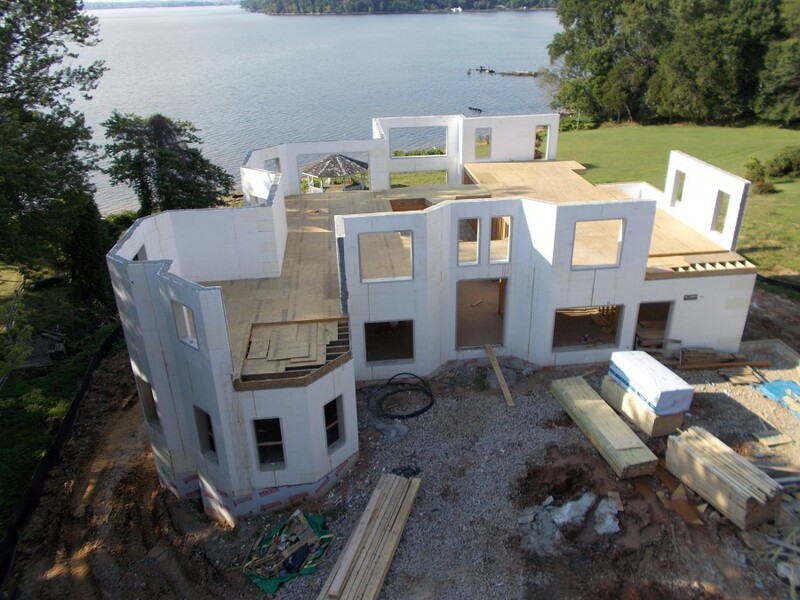 Bracing is installed to be sure walls are secure and plumb before the wall cavity is filled with concrete. 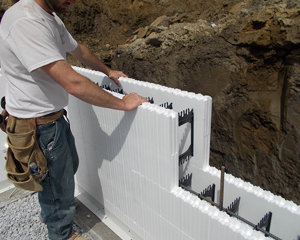 When the walls are secure, the concrete is pumped into the walls. 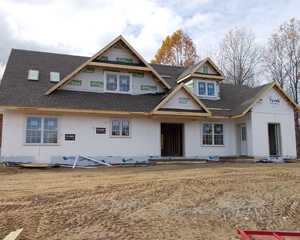 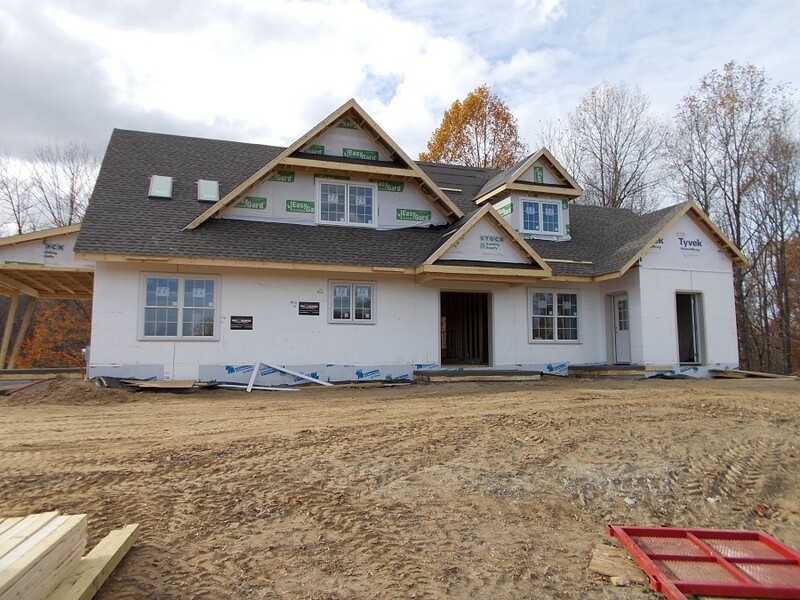 When the ICF walls are built to the desired height, the roof, windows and doors are ready to be installed.